« Episode 88: Sweet Suite Marketing – Hotel Triton gave me free unlimited Haagen-Dazs in my hotel room. I did NOT have a problem with this. Hey everyone, I recorded my podcast on a Sunday morning, having just got back from a run. 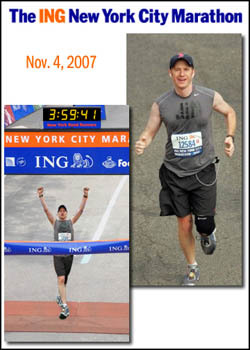 If you’ re a long-time listener, you know I’m a big fan of running, and I’ve said many times that I have never gone on a run when trying to figure out a podcast topic and NOT come back with a clear head, tons of ideas, and boundless energy. 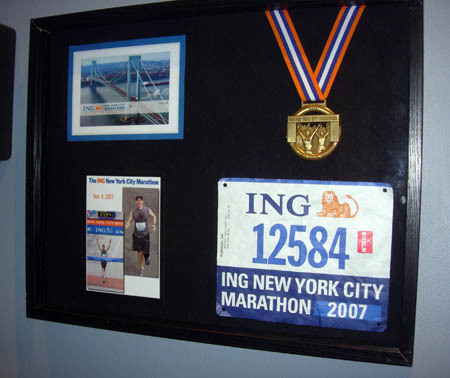 – How to make a framed marathon ‘shadowbox’ for $25. Note… this podcast ended up topping 45 minutes, my longest ever. I was going to break it into two parts, but decided if you’re not into running, you probably won’t listen to it, and thus won’t listen to the second part next week. However, if you ARE into running, you’ll find the entire show really valuable. So throw it on your iPod and head out for a long run. Can you believe this??? It blows my mind. How the heck does a $30 Billion company like Nike not own their main Twitter account? Is it possible that there’s not a single marketing person in the entire company that knows anything about social media and thinks it would be a good idea to secure that account? Clearly there’s someone there that is manning @nikebasketball and tweeting to 30,000+ fans. Why not at least get the page so you can redirect people to other accounts? Or is there a chance that it’s Twitter’s fault? I’m sure that Nike has a small army of lawyers, and there’s absolutely no question that Nike is an established, trademarked brand name. Twitter should have no problem yanking the person with the Nike account (especially considering he has 0 followers). I could see a gray area with the guy using the @puma account… at least he has a website using the same name and can show that he has historically used the name Puma in a non-competitive business. I guess I have to give a huge shoutout to @saucony. Nice work! – My running clothing recommendations. 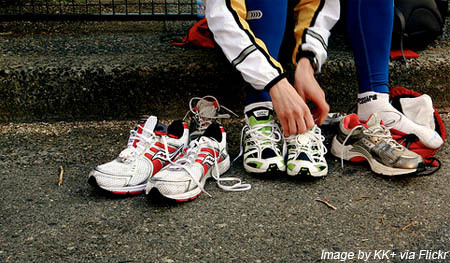 As a lifelong runner, I tell you my picks for running shoes, socks, shorts, t-shirts, gloves, hats, and the interesting topic of tights. – My running gear recommendations. Cross a runner with a tech geek and you get a list including the iPod Nano, Nike+ iPod chip, the Marware chip holder, Incase neoprene iPod case, sunglasses, RoadID, what water bottle I DON’T recommend, and when I listen to podcasts vs. music. – The Nike+ community. 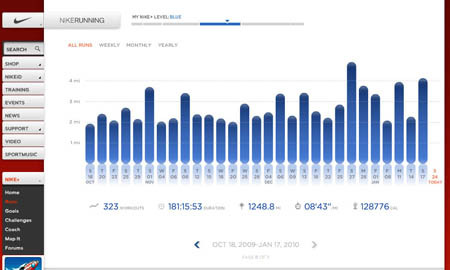 The Nike+ tracking system has been an amazing breakthrough with runners, and they take it to the next level with their online community. – How to make a calendar and training guide for under $5. Download here. This entry was posted on Wednesday, January 27th, 2010 at 11:26 pm and is filed under Branding / Advertising, New York City, Pop Culture / Entertainment, Twitter. You can follow any responses to this entry through the RSS 2.0 feed. Both comments and pings are currently closed.